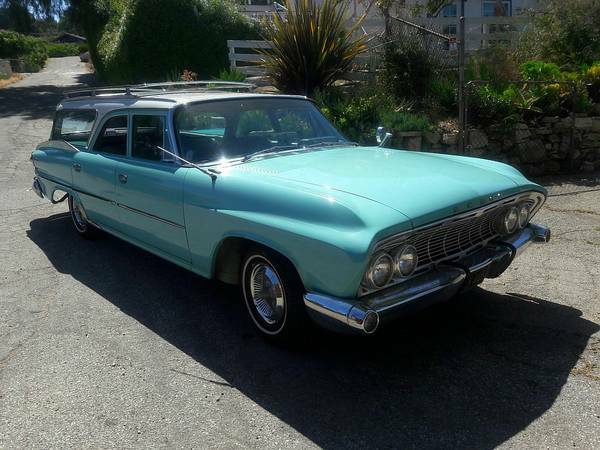 This is mid-range trim level of the first generation Dodge Dart commonly known as Dodge Pioneer, as the pictures is 5-door station wagon model built in 1961 still in good condition looking for a new owner, that was posted in Craigslist about 2 months ago and still online today. 1961 Dodge Pioneer Wagon VIN: 5617168274 powered by 318 V8 engine with 2 barrel carb mated automatic transmission. Could be perfect start as a light restoration project. Asking $14800 located in San Pedro. 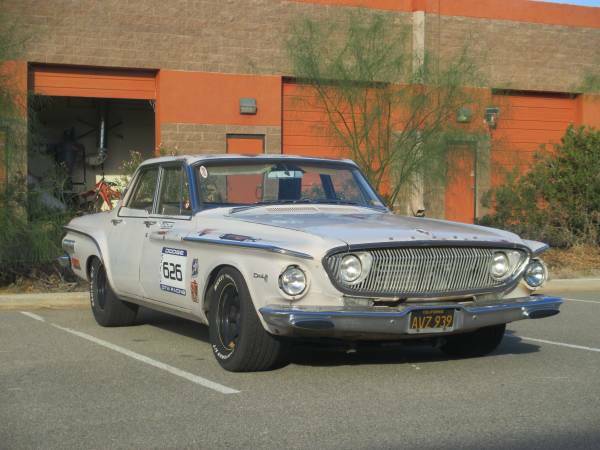 Here's we found a coolest race car based on a classic Dodge, it's a second generation of the Dodge Dart 440 released in 1962 has been custom rebuilt and upgraded seem indeed to competitions. Only one year the second generation was made, yes only in 1962 which on that time was offered in two levels the Dart 330, 440 and sold in Canada as the Polara 500. While no has beauty look as a collectible car, but he get the power as a fighter as is look now. I think he came with a great character also would be great to considered. The photos as confirm, the body frame looks so perfect, no dent and no rust issue, come with patina look. The engine seems has ready to competitions, as can be seen from the fuel system and motorsport tyres usage, it's an unfinished racing car still need some work for safety and more agility, especially at interior side it still complete as the family car not as a race car. Overall it could be a seriously competitive car on the track or just be coolest classic Dodge as is, depending on where to go you want to carry it. Here we found American muscle car on Convertible body, so clean and solid. 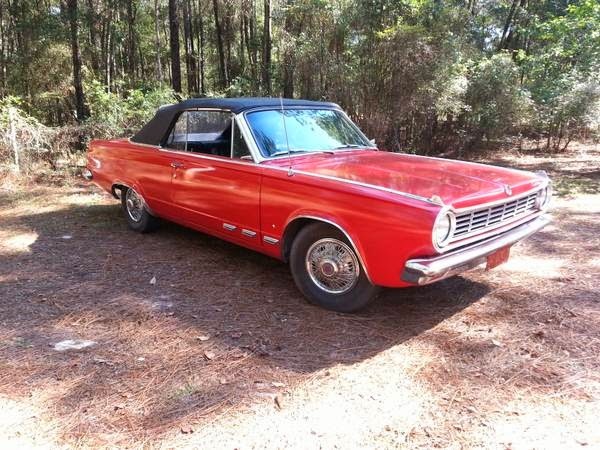 This third generation Dodge Darts it's the good generation make an ideal first collector car. They are simple, relatively resistant to rust, inexpensive to use, and quite durable. The high production numbers mean there are still lots of solid survivors available in addition to lots of spare parts today. All in all, the third generation Dodge Dart offers lots of fun.